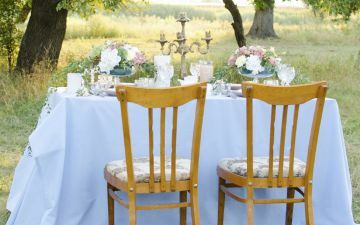 The idea of a romantic gourmet picnic without making it or carrying it ! With Wye Valley Picnics you can 'discover' this feast during a beautiful walk in the Wye Valley. Or your picnic can be served at a stunning location of your choice. There are all sorts of picnics eg. Proposal picnic. Anniversary Picnic Something a little bit extra special for that memorable moment in your life: including a bottle of Champagne. £125 for two set up in a secluded location. Alternatively, have your picnic packaged in a rucksack (for you to keep) and delivered to a Wye Valley address £90.00. 11 mile gentle cycle Trail or Downhill Challenges within 10 mins. Two wheels are the best way to explore. There is an 11 mile gentle trail or the nationally acclaimed Verderers' Trail which offers 7 miles of all-weather adrenalin. Try the Ski Run or the Corkscrew. Bring your own kit, we have secure storage, alternatively, hire all you need from Pedalabikeaway at Cannop 3 miles away. Or, book a guided ride. Soudley Lakes and Mallards Pike are a haven for wildlife. 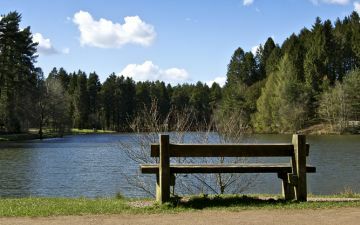 Soudley Lakes surrounded by an impressive stand of douglas fir trees and are carpeted with Bluebells in May. The paths are surfaced. Bridges allow access between the lakes. A steep walk up the ridge takes you to the Blaize Bailey viewpoint overlooking the River Severn. 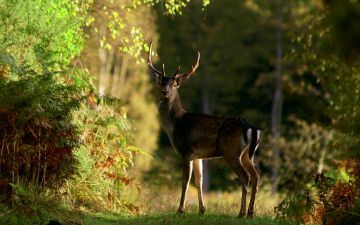 This is a perfect place for wildlife spotting. The versatile picnic which can be heated and enjoyed in your holiday home or taken to a picnic location of your choice. £15.00 per person delivered to a Wye Valley address. 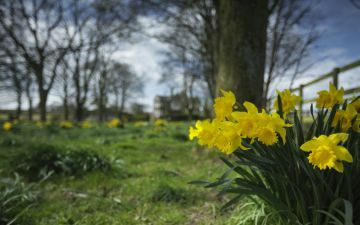 Spring sees the northern part of the forest carpeted with wild daffodils. Take a walk through the famous Golden Triangle of Oxenhall, Kempley and Dymock. 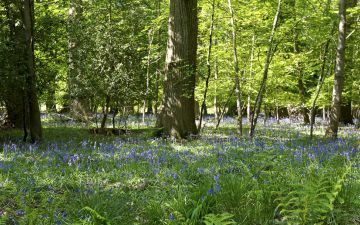 In May the ancient woodlands are transformed into a sea of bluebells, an annual extravaganza. The area is a nationally-important site for thousands of these fresh, scented flowers. Nesting birds include Pied Flycatchers,Woodpeckers, Nuthatches and Treecreepers. The haze of summer makes for perfect picnics and lakeside strolls. Unwind and relax as you wander through 35 square miles of forest. Gaze at beautiful butterflies, the forest is home to more than 30 species - including purple hairstreak, white admiral, silver washed fritillary and the grizzled skipper. Spend an evening listening to the fascinating nightjar or take part in some bat watching. 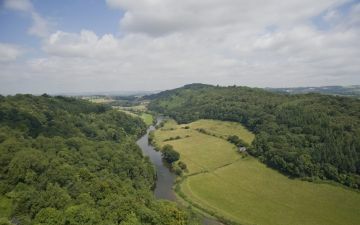 The Wye Valley is home to an internationally-important population of lesser horseshoe bat. National Trust Dutch water garden - a rare and beautiful survival. 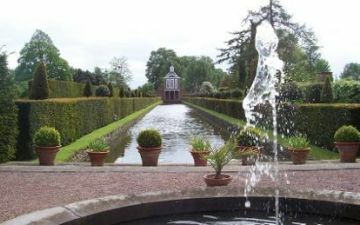 Originally laid out between 1696 and 1705, this is the only restored Dutch style water garden in the country. Visitors can explore canals, clipped hedges and working 17th-century vegetable plots and discover many old varieties of fruit trees. Stunning woodland waymarked trails start from Symonds Yat Rock. Purchase a Forest Walks map at the Log Cabin cafe. Main trail from car park to Symonds Yat Rock viewpoint itself is well surfaced with a number of resting points along the way. Access to the River Wye at Symonds Yat East is by steep flight of steps and unsurfaced path from near Log Cabin. Trail is along the River Wye for part of its length then crossing the Biblins pedestrian suspension bridge. This is only possible as a loop when the river levels permit running of the Saracens Head hand pulled ferry. 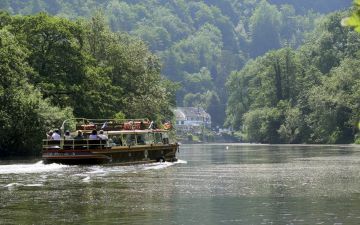 Then an excellent lunch at The Saracens Head to watch the Wye go by - see our Dining section. One of England's best known vineyards. 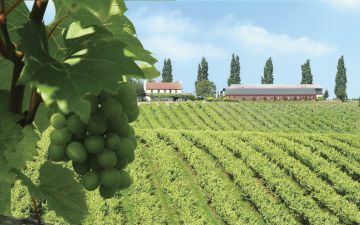 A single estate location providing a unique microclimate for growing a range of perfectly developed grapes, which are then carefully vinted with both scientific dedication to controlled circumstances and a master vintner's eye to developing the fullest flavour. Take a vineyard tour tasting as you go and complete with a fantastic lunch in the restaurant. Beechenhurst is a starting point into the Forest Sculpture Trail with its stunning 18 huge sculptures for you to find. 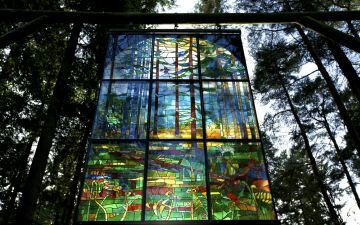 The 'must see' 15 ft x 10 ft stained glassed window 'Cathedral' hangs high in the canopy over the heads of walkers. See if you can find 'The Giants' chair! Beechenhurst Lodge has several walking trails to choose from, all passing through the fantastic oak woodland of the Cannop Valley. Information on the walks is available at the Lodge, on a display board outside of the shop, alternatively maps and leaflets can be purchased on site from Forest of Dean Adventure.